June saw the beginning of a new election season in Balder. Among members of the outgoing Storting, OnderKelkia, Plembobria and Linkin Talleyrand stood for re-election, while Lord_docomo, Theoden Sebastian and Rain announced their candidacies to join the Storting. A Formand was not elected this term and nominations began on the 1st of June, with campaigning and voting beginning on the 6th. OnderKelkia put forward a strong campaign as he not only sought a position on the Storting, but also that of Statsminister. OnderKelkia noted that during his previous tenure as Statsminister activity improved dramatically month on month before stabilising at a relatively high level. OnderKelkia talked about tackling both internal and external issues which could benefit the region. "When it comes to foreign policy, we have consolidated relationships with key Independent regions and our partners in the GCR Sovereignty Accords, but further developments in military and cultural cooperation are contingent on improved domestic performance. Diplomacy on its own can only take us so far if we do not have the requisite internal strength". OnderKelkia also promised to continue to focus on legislative scrutiny and political reform where appropriate and when it can improve the current system. On the 6th of June the outgoing Speaker Fake opened voting, with people selecting their preferred 5 candidates out of the field of 6. After 2 days of voting the polls were closed. OnderKelkia, Linkin Talleyrand, Theoden Sebastian and Plembobria took the first 4 seats while there was a close battle for the final Storting seat with Rain edging out Lord_docomo by a single. Upon the conclusion of the results, the new Storting wasted no time in beginning the process of electing a new Statsminister. OnderKelkia was the only candidate for the position and was duly elected with overwhelming support. Statsminister OnderKelkia immediately set about appointing members of the Statsraadet (the Cabinet of Balder). The Statsraadet initially consisted of Zander Cerebella (Foreign Affairs), Fake (WA Affairs), Plembobria (Integration), Akillian Talleyrand (War) and Ervald (Culture), with Ervald continuing on an interim basis until a replacement could be found. The cabinet has since changed with Cinder replacing Ervald as Minister of Culture and Fuzzy replacing Plembobria as Minister of Integration due to Plembobria's extended leave of absence. Each minister has been given a number of tasks to complete over the coming term including updating the foreign ministries database of active ambassadors and embassies, a ranking system for the Jomsvikings, working closely with new citizens in order to help them get involved in the region and to continue to ensure that both on-site and off-site voices are hear on WA matters. Alongside the Statsminister election, an election was also held for Lawspeaker. And just like the Statsminister vote, there was also just a single candidate for Lawspeaker in the form of Theoden Sebastian, who was approved unanimously. Our first bit of legislative news comes from the defeat of the Regional Identity Act, mentioned in our previous press release. After extended discussion the bill was brought to vote and was defeated. This is one of only a few bills in Balder's history to have been defeated at vote. One concern pointed out was Balder's Demonym Act 2016 would not be replaced as a result of this bill, but rather it "may" be removed. While MP's were happy with a number of changes it looks like there are still amendments to be made before this bill passes. Something which had an easier path was the amendments to the Criminal Code of Balder. Introduced by Fake, the amendments were met with positive support. The amendments sought to expand the definition of harrassment to include all members and not just citizens and expanding the reach of the code to both the RMB and Balder's Discord channel, along with small amendments to number. The amendments were approved with overwhelming support. The final piece of news comes in the form of the Regional Security Act which was introduced by OnderKelkia. The bill aims to promote accountability and professionalism and to fill a legislative hole in the Citizenship Act where no specific authority is responsible. Balder has largely relied on the Monarchy, specifically the Crown Prince NES to conduct these checks. As part of this new bill ,a new position of Head of Sikkerhet is to be create and appointed by the Monarch to conduct these security checks, and should one not be appointed then the responsibility falls on the Crown Prince. The bill was received positively by MPs and on the 6th of July was passed through the Storting. Balder was delighted to honour a request from our ally The North Pacific for support with their Delegacy transition in May 2017. 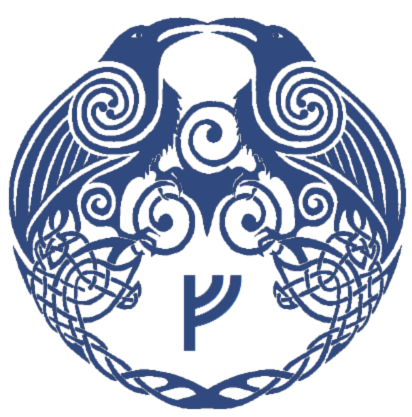 The Jomsvikings deployed to endorse the incoming Delegate of TNP, Pallaith, on 20th May and the mission concluded once Pallaith assumed the in-game Delegacy. At the start of July 2017, the Jomsvikings deployed to the region of Ankh Mauta to provide reinforcements for an occupation led by The Black Hawks. Ankh Mauta was a region linked to the United Defenders League, an organisation which historically sought to interfere in Balder's internal affairs before opposing our external interests after their attempts at internal subversion failed. Deeming the mission a success, our involvement in the operation concluded immediately following the minor update of 3rd July, after supporting the reclamation of the region at the previous major update and assisting the defeat of a defender 'liberation' at that minor update.